Whether it is for your kitchen, restaurant, or shop, this neat and elegant water purifier can easily be installed and will ensure that you drink or serve your customers water that is clean and hygienic. This product is available in Flipkart, Tatacliq, Snapdeal. 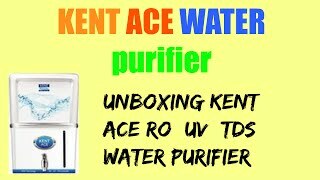 At flipkart.com you can purchase Kent Ace Mineral RO TM 7 L RO + UV +UF Water Purifier(White) for only Rs. 13,599, which is 11% less than the cost in Snapdeal (Rs. 15,296). The lowest price of Kent 7 L Ace RO+UV+UF with TDS Controller Water Purifiers was obtained on April 20, 2019 2:39 am. Great deal for great product…working perfect no installation cost..just get your own sediment pre filter if your water source is bore well or anything else with high TDS. I oredered through app. Pls let me know the cash back details. 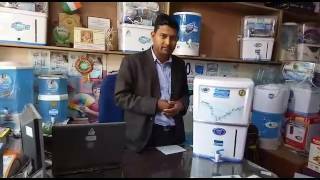 Really one of the best product in RO water purifier… Water taste is good, operation and automation of system is grate. Noise of motor is motor is equal to zero. overall performance is good…. I like this product. Water taste is good. After comparing Kent Grand plus and this one. I went with Kent Ace. Both have same purifying technologies and features, but Ace is 7 liters and Grand is 8 liters with price difference of 2000 Rs. That’s the only difference.